Are you interested in joining "Kenya naar School" to assist other schools? You can donate online by clicking on the button above or through a transfer to IBAN: NL30 RABO 011 878 2223 in support of "Kenya naar School"
From 1992 to 2002, the chairman of the "Kenya naar School" Foundation, Evert van den Ham, was working in the area of Eldoret-Kenya. Teaching development studies, he saw everyday the poor state of the many rural schools in the area. 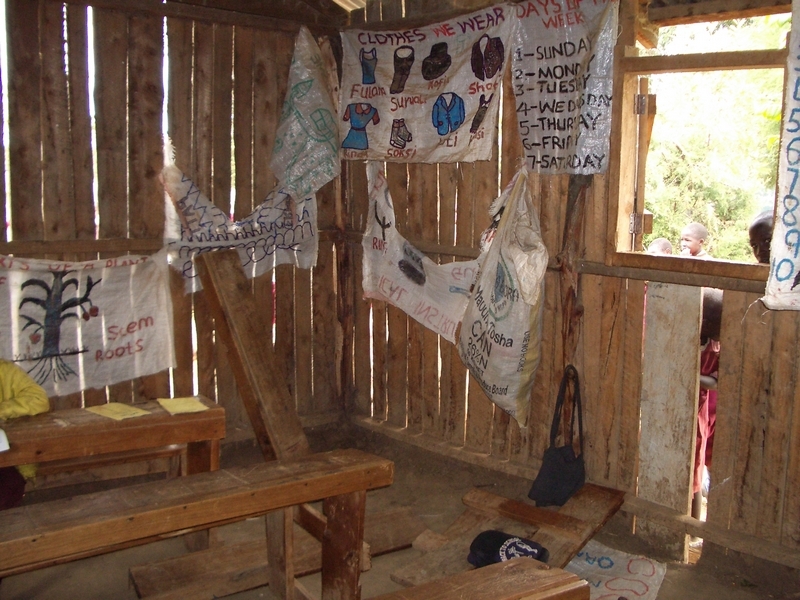 Many schools were/are nothing more than shacks. The quality of education suffered tremendously under these pityful circumstances. Though the Kenyan Government is paying the salaries of the teachers, the parents have to take care of the construction of the school buildings themselves. This is very difficult for the parents, as many of them live below the poverty line and have to meet ends with less than 1 € a day. Little is than remaining for the construction of a school! After his return to the Netherlands in 2002, Evert van den Ham stayed in contact with his Kenyan friends and acquaintances. With the support of some friends in the Netherlands he assisted a small school with some bags of cement, enabling them to make a concrete floor - quite an improvement compared to the mud in which the students were sitting, often with their bare feet. Marien Louws and Willem Verhage heard about this project and on their advice, and together with them, the Foundation "Zeeland helpt Kenya naar School" was set up in 2007. (In the meantime renamed the "Kenya naar School" Foundation). Because in the meantime many more requests for support had been received to renovate some old wooden, rotten classrooms of existing schools and to assist with the construction of brick buildings. 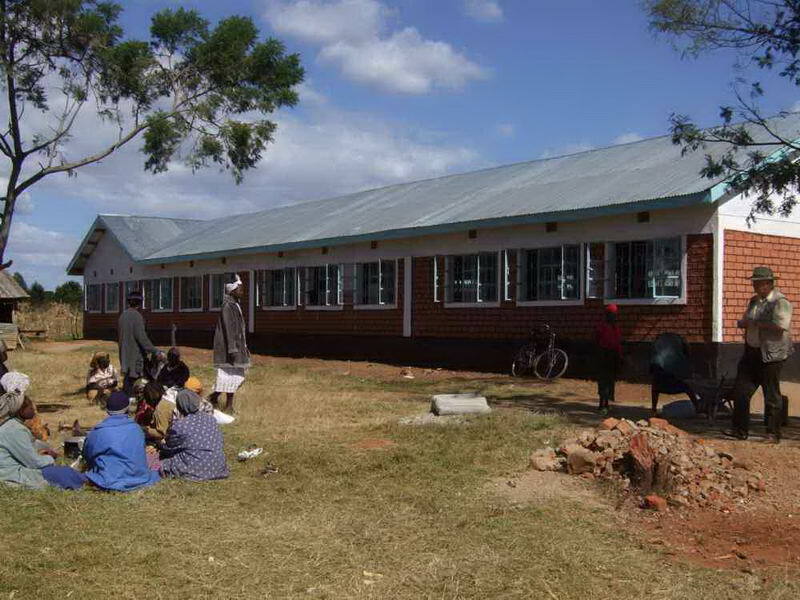 Now, nearly 8 years later, the Foundation, together with the parents of the students, has collected enough funds to construct 18 brick classrooms at 2 Primary Schools and another 10 classrooms at 2 Secondary Schools. 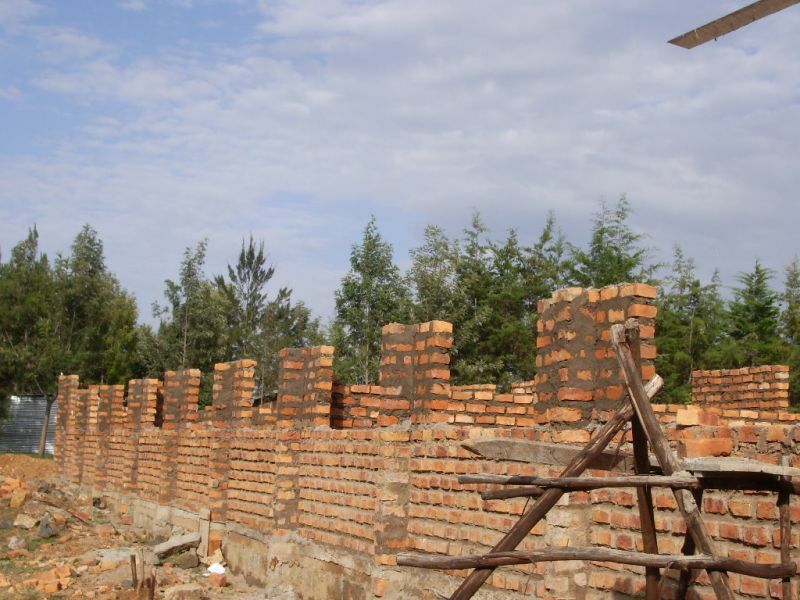 Moreover some ablution blocks and kitchens have been build. All this in the area around Eldoret - Kenya. The "Wilde Ganzen- Wild Geese" Foundation has contributed generously to the costs of these schools. 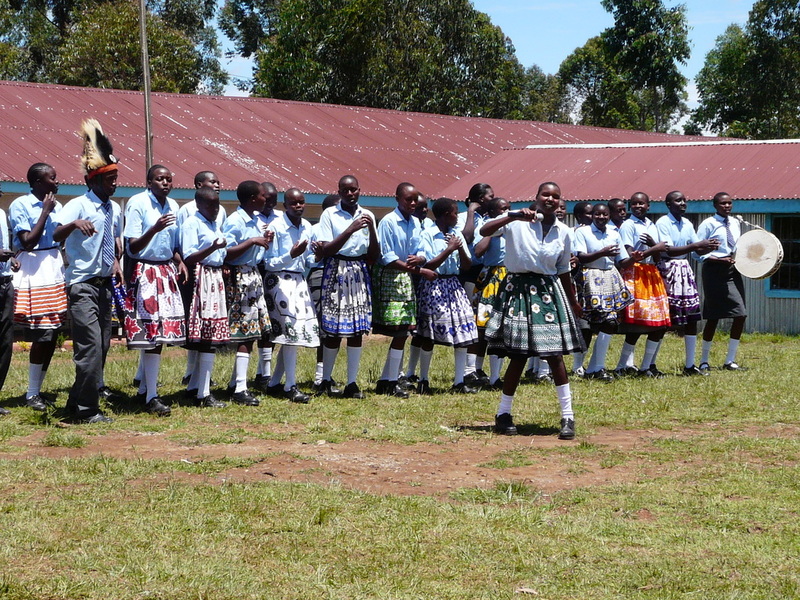 At this very moment the Foundation is collecting funds for the construction of a Secondary (boarding) School for boys. Moreover it is our dream to be able to realize a good performing technical School, as there is an enormous lack of good trained technicians in Kenya. 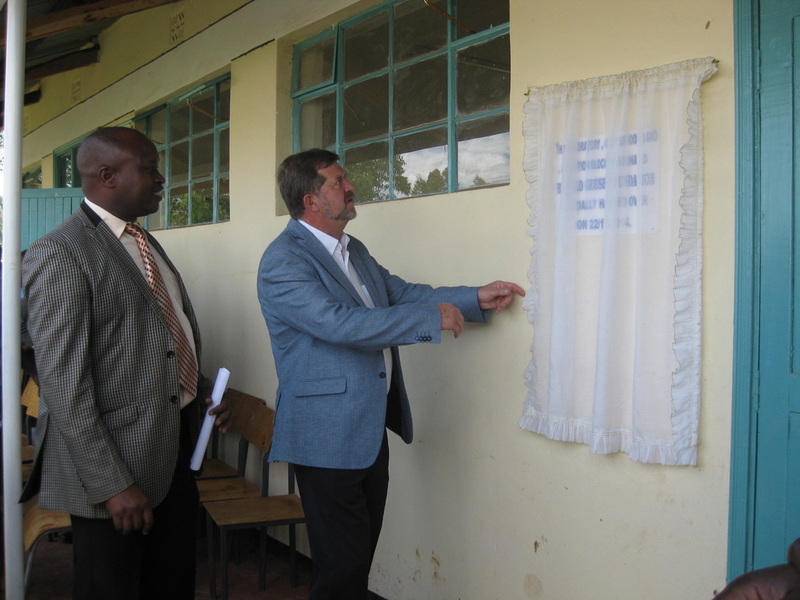 In November 2014, 4 new classrooms and the chemistry lab of Kiplombe Secondary School were festively opened in the presence of an enthusiastic crowd of students, parents, school board and a delegation of the "Kenya naar School" Foundation. The Foundation, together with "Wilde Ganzen" has disbursed 64.000€ for the construction of the 4 classrooms and the chemistry lab. The Kenya naar School Foundation is supported by NCDO and Wilde Ganzen for the implementation of projects. 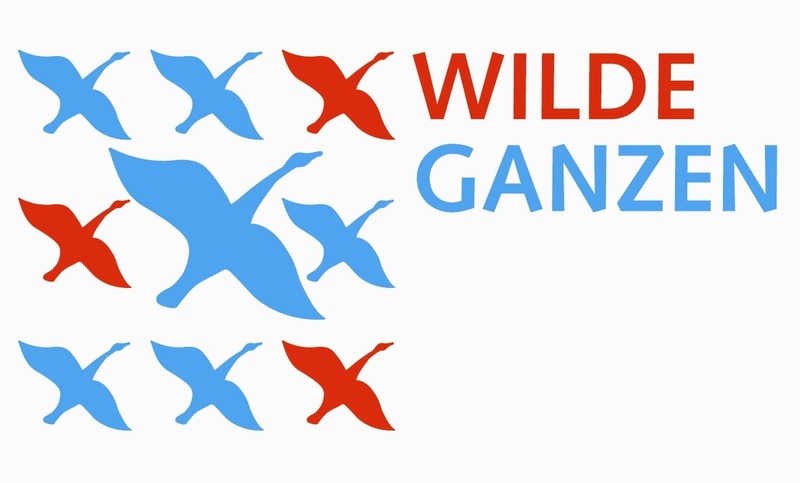 Wilde Ganzen or Wild Geese is raising funds, based on an oecumenical inspiration, for concrete and small-scale projects in favour of the disadvantaged in the entire world. Without making distinction between religion, race, culture, age, gender or nature. . Wilde Ganzen is giving a premium over funds collected for an approved project to the tune of 70 % of the nett action result. Wilde Ganzen is able to give these premiums thanks to donations, periodic gifts and legacies. In this way, Wilde Ganzen is linking the financial efforts of donors to the efforts of activists. Please feel free to contact us -- Neem gerust contact ons met op !